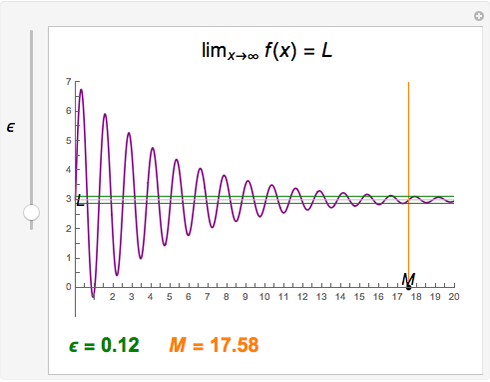 The function has a finite limit, , as . This means that for any , there is a number such that implies . 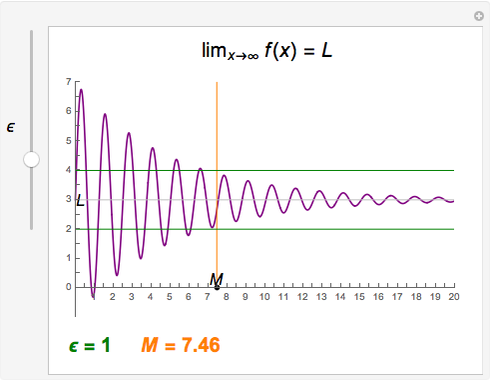 Adjust &varepsilon; using the slider and then adjust the value of to in such a way that, to the right of the vertical, the graph lies between and . 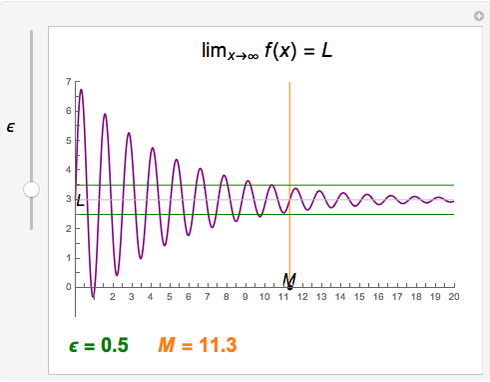 The function shown is . Abby Brown "Finite Limit at Infinity"